One of the major challenges that farmers face in the field is the management of the soil compaction which occurs in their lands. This is a serious issue as it has a direct impact on the potential of your crop. Ultimately we should strive to prevent compaction as best as we can. When preparing to plant a crop we should have one primary consideration – the soil. The soil is the factory within which our produce will grow and develop. It is the foundation of the crop. If the foundation of your home is poorly constructed your walls will crumble in time. This is the same in our soils, if we do not look after the soil our potential income from the crops planted will also crumble in time. For a seed to germinate and flourish it needs to have the correct environment in which to do so. So what is a good seed bed? To answer this question one should first consider your management practices on your farm. For example; do you practice no-tillage or do you implement conventional tillage? 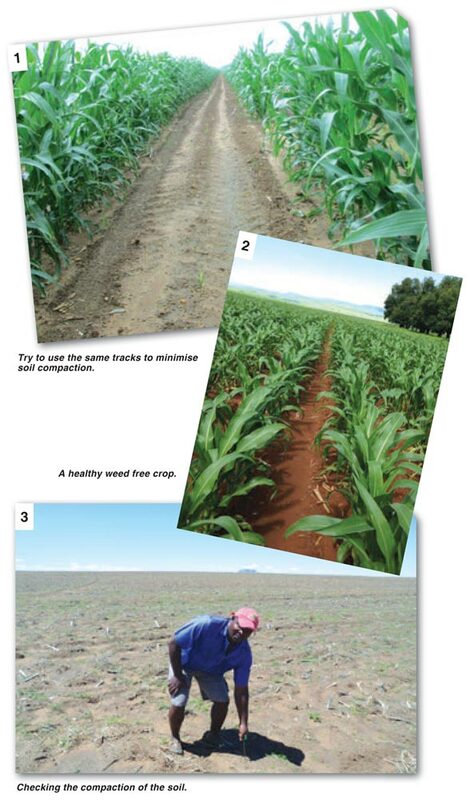 For the sake of this article let us use conventional tillage as an example as it is in conventional tillage practices where farmers especially battle with the challenge of soil compaction. A good seed bed is made up of loosely aggregated soil fragments which are mostly free of soil clods and organic material. 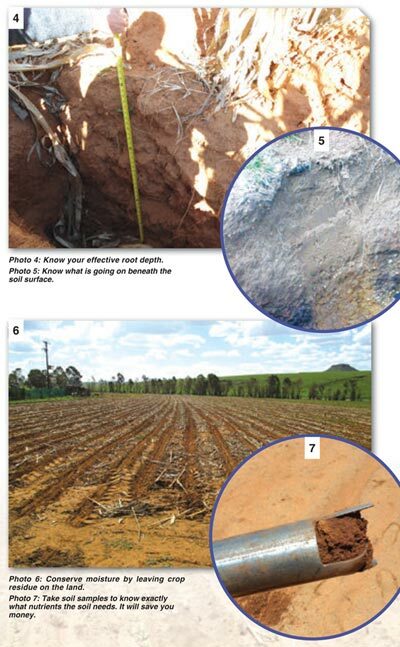 Soil should be loose for a depth of up to one metre. This will allow for good root penetration as well as moisture absorption into the soil profile. A goodseed bed is free of weeds as well as rocks. If your field is full of rocks then your planter will not penetrate effectively which will cause an uneven emergence of your crop. A good seed bed is also level, which means there are no uneven ridges and gullies running through the field. Ridges and gullies will cause problems at planting time and will also have an adverse effect when it comes to soil erosion caused by run-off. If soil is compacted we will not have a good seed bed. When soil is compacted we don't have a loose aggregate in the soil. We lose access to the entire soil profile. We suffer considerable run-off which leads to erosion. Consequently there is less absorption of moisture into the soil. Planters will battle to penetrate. Seeds will struggle to germinate and emerge. We allow for the establishment of pioneer weed species which take advantage of the tough conditions. To understand how to prevent and alleviate soil compaction we first need to understand what causes the compaction in the first place. There are a number of factors which contribute to compaction. Firstly, the machinery which operates in your fields is heavy. Tractors, combines, trailers and trucks all compact the soil on which they drive. Moving wheels bind soil particles creating a hard surface. Another factor which causes compaction is animal traffic in your fields. Just like the cattle paths which occur naturally on grazing land, so too when animals are let into the lands to graze crop residues their hooves cause compaction of soil. Soil which is left fallow will also compact over time due to natural weathering. Rainfall will wet and bind the soil which later gets baked by the sun causing a hard crust on the surface. All these factors can be prevented with good management practices. You can implement traffic control in your lands by driving on the same tracks whenever your machinery is working in the fields. This is becoming easier with the technology which is available to us today such us GPS technology and automatic steering equipment fitted into tractors. You can limit vehicle access into the lands by only allowing trucks and trailers to be loaded on the ends of the fields instead of inside the fields. Compaction caused by animals can be prevented by carting the residues to the animals instead of allowing them to graze in the lands. Residues can be baled or captured directly from the combine and fed elsewhere. Natural weathering can't necessarily be prevented but it can be alleviated by the same methods used to alleviate compaction caused by the above mentioned factors. To alleviate soil compaction in a conventional tillage system you should firstly start by doing a deep ripping of the soil. The ripper tines must be sharp and the best results are achieved when using a heavy implement operated by a strong tractor. You want the ripper to penetrate deeply, this will also assist in ripping through old plough pans which is sub soil compaction, this occurs at the level under the soil where the implements work up to. This is caused by years of continuous soil tillage. Once the soil has been ripped, you can then either disc or plough the soil. After this, one should do a final soil working of harrowing. This will break the clods up causing the desirable loose soil aggregate for a good seed bed. Once this foundation is laid, one can now work on the building blocks of planting a good crop which will bare good yields for this season and the seasons to come.